When Samuel Frisby Snively, Duluth’s longest-serving mayor, died in 1952, the Duluth Herald reported that “friends often said of him that no man ever had a greater love for his city than Mr. Snively.” As a result of his dedication to Duluth, love of nature, and passion for road building, Sam Snively left behind a rich legacy of parks and boulevards. My mother was a woman of restless energy, a lover of all that was grand and beautiful in nature and an influential representative of that which was most ennobling and uplifting in life; my father being of rather an easy-going nature, always jovial and possessing a trait of subtle humor that quickly made friends of all with whom he came in contact. Snively attended Dickinson University, earning his bachelor’s degree in 1882. He stayed on to earn his master’s degree while gaining some teaching experience, but within a year he opted for a career in law. In Philadelphia he received on-the-job training in the law offices of Benjamin Harris Brewster, who at the time was the attorney general of the United States; he also attended classes at the University of Philadelphia. By 1885 he had been admitted to the Philadelphia bar. Snively was soon joined by Charles P. Craig, a college chum and fellow Philadelphia lawyer. Together they established Snively & Craig and set up practice in Duluth’s Metropolitan Block. Business must have been good, as the following year they moved into the third floor of the brand new Duluth National Bank, a prominent address for such a young firm. 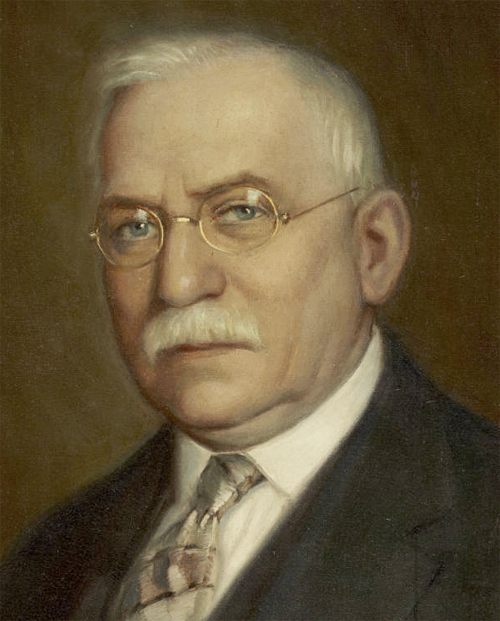 On their wall hung a portrait of Attorney General Brewster—sent to them by Brewster himself. Besides practicing law, both men also invested in real estate, purchasing property in the developing communities of Lakeside and Lester Park. Newspapers would later describe Snively as a “plunger” when it came to business, meaning that he approached his decisions with a certain recklessness, plunging in feet first. One move that must have baffled his friends came when the lifelong Republican purchased an interest in the Democratic-leaning Herald in 1892. Snively also invested in iron mining, incorporating the Snively Iron Mining Company in April 1893. It was terrible timing. A month later the nation was struck by the Financial Panic of 1893, and suddenly no one was buying iron ore or real estate. At the same time, he and Craig ended their law partnership. “We somehow got separated in the financial massacre of 1893,” Snively would later recall. Snively indeed ended up in Alaska, but the venture did not reward him as he had expected. He and several companions searched the Klondike for gold but found nothing. (Some say he found a great deal, but was swindled out of it in Nome.) Their return walk to Juneau included crossing seventy miles of glacier while encountering giant clouds of mosquitoes. Once in Juneau, he and his friends found brief work unloading steel from a freighter, all the while verbally abused by one of the ship’s mates who demanded they work faster. When finished, the group stowed away on the same vessel to get back to Seattle and upon arrival gave their former taskmaster “the beating of his swashbuckling life.” In Seattle Snively was forced to pawn his watch to pay for lodging while he waited for friends to wire money from Duluth for his return trip. Back when saloons gave away free lunch with the purchase of a beer, Snively took to frequenting drinking establishments to sneak a bite to eat. He managed to make it back to Duluth in 1900 where, according to Snively himself, he “drifted into the farm land development business” with Jed Washburn and John G. Williams. Together they purchased over 200,000 acres of surplus land from Northern Pacific Railway, and Snively took charge of selling the land. At about the same time he bought a farm for himself, approximately 1,200 acres of property near Jean Duluth Road and Amity Creek. He may have been inspired to go into farming by his old law partner, as Craig was by this time heavily involved in the local agricultural movement, part owner of the four-thousand-acre Jean Duluth Stock Farm and promoter of the local Homecroft movement. Snively built a small dairy farm on his land, including a house and barn made of field stones cleared from the property; the barn was thought to be the largest in northern Minnesota at the time. According to researcher Mike Bayer, Snively maintained about 150 heads of Jersey and Guernsey cows on the farm. It was during this time that Snively built Seven Bridges Road (originally called Snively Boulevard or Snively Road), which followed Amity Creek uphill from Superior Street to his farm. The News Tribune characterized the project as bordering on reckless: “He spent almost every cent he had on the venture…most of the money [spent building] was his own.” When construction was complete, Snively gave his road to the city. He also purchased 150,000 acres along the south shore of Lake Superior between Superior and Bayfield, Wisconsin, that he helped develop into today’s Highway 2. Most of his money, however, went into his projects in Duluth. Snively’s time on the farm ended when the 1918 Cloquet Fire tore through his property, leaving nothing behind but the stone house. Snively moved into the city, just east of downtown near Thirteenth Avenue East and Second Street, and later sold his farm to Albert M. Marshall of Duluth’s Marshall-Wells Hardware, then the largest hardware distributor in the world. The job of mayor suited Snively well. 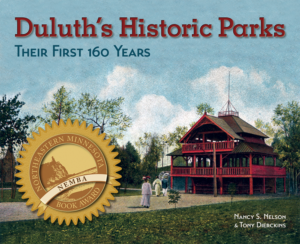 Under Duluth’s commission form of government (1913 to 1956), the mayor served as commissioner of public affairs, which included responsibility for the city’s parks. By all accounts he spent most of his energy on this aspect of the job, and Snively’s efforts on behalf of Duluth’s parks and boulevards and you can read more about them here. In other aspects of politics, Snively could be unorthodox. During the 1928 debate over converting Duluth’s aerial transfer bridge into a lift bridge, Snively twice abruptly adjourned council meetings when he felt the issue had reached a deadlock—once by simply walking out of a meeting. The next year Snively became the fourteenth inductee in the Duluth Hall of Fame and Berghult tried to get Snively back to work on Duluth’s parks by creating a “Department of Boulevards” and making Snively its superintendent. The measure did not pass, but a similar resolution in 1941 succeeded, and at age eighty-two Snively went back to work at city hall, assisted by longtime-secretary Alta Marie Johnson. It is not clear when he gave up his office. Snively eventually moved in with his niece Zelda Overland and her husband William at their modest home in Duluth’s East Hillside neighborhood. The ex-mayor was particularly proud of his grandnephew, Douglas Snively Overland. A photo of the pair taken on Snively’s ninetieth birthday shows them playing chess. Snively died three years later on November 6, 1952, in the Overland home. My life here in Duluth, like that of many of my contemporaries, has had its success and its disappointments, but always [has been] lived in support of measures I believe designed for the common good of this city and its people. In 1934 a bandstand/pavilion was constructed in Lincoln Park, and the Swedish American League had a plaque made in honor of Snively that was affixed to the building. It read in part, “Mayor S. F. Snively / Reciprocated Popular Affection of Noble Ideas / Promoted Parks, Blvds, Libraries / Long Time Mayor.” The plaque is gone, and while just a faint concrete outline of Snively’s face can be seen on the pavilion, his legacy is visible in just about every Duluth park and parkway.